Bloco Malagasy is back! Rocking South-East Asia with their amazing energy, they are here to promote responsible tourism by encouraging cultural exchange through solidarity and music. For the second time, Khlong Toey Music Program has the immense privilege to host a one-of-a-kind intercultural encounter through music between Bloco Malagasy, KTMP, and other volunteer musicians from Thailand, joining hands to promote a positive change through music! Bloco Malagasy is a group of Batucada (Brazilian percussions), consisting of girls from underprivileged neighborhoods of Toliara (Madagascar). Bloco Malagasy is a project from the Coconut Water Foundation, a non-profit organization that implements community development and education programs in Madagascar and Cambodia. 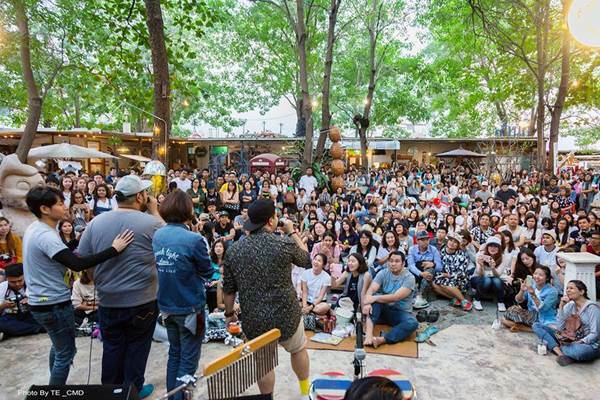 On Sunday, March 13th, they will be performing at Coffee model, along with the children from Khlong Toey Music Program and other volunteers for an unforgettable evening.